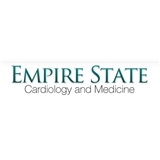 Empire State Cardiology and Medicine (Brooklyn) - Book Appointment Online! Empire State Cardiology and Medicine is a Brooklyn, NY, based medical office that has been serving the local residents for several decades. Our services are supervised by Dr. Lawrence Sher. Dr. Sher is a licensed and experienced internist and cardiologist. He is also a primary care physician with years of experience in the field. We also have a team of experienced medical assistants who offer compassionate care and support. They will be with you during the visit, and help answer all your questions. Dr. Sher will perform a thorough physical examination. He will also review your medical history and ask some important questions before ordering diagnostic tests. Once the results of the test are in, Dr. Sher will review them and offer the final diagnosis. He will also offer treatment based on your condition and your overall health. We will make every effort to help you recover quickly and safely. In fact, your safety is of utmost priority. We do not prescribe procedures and medications with serious side effects. Dr. Sher will not impose anything on you. He will explain everything and help you make an informed decision. We work with most popular and commonly used insurance providers. Before an appointment, our staff will contact your insurance provider to make sure the procedure is covered for you. If not, we will inform you ahead of time. We also bill the insurance company directly under normal circumstances. We want our patients to recover well and get back to leading a normal life as quickly as possible. Our office staff at Empire State Cardiology and Medicine can explain further. Call today. He is a very compassionate, understanding, and skilled professional. He personally was present and oversaw the CT scan testing, to make sure that it was accurate.